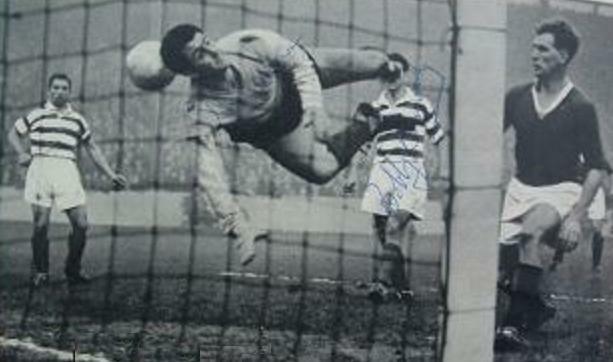 Do You Remember Killie Goalkeeper Jimmy Brown ? Born July 19, 1925; Died November 7, 2008. 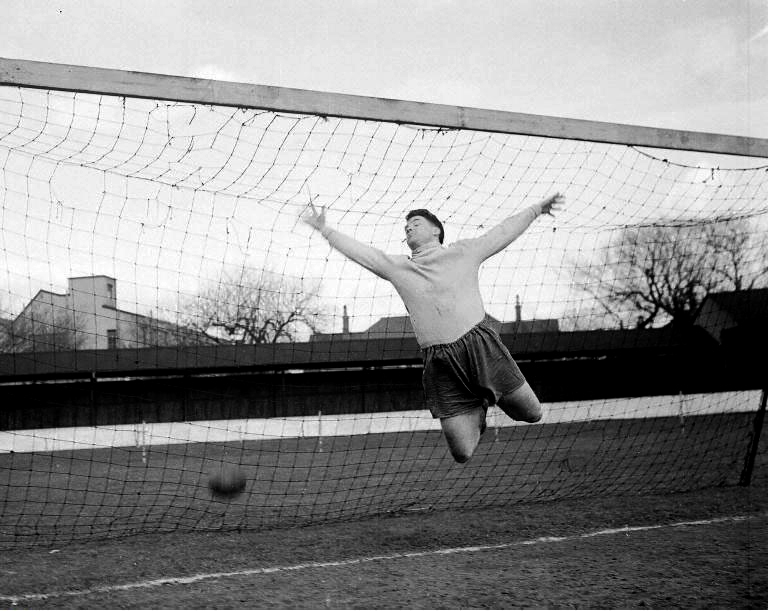 Jimmy Brown, who died of cancer aged 83, was a flamboyant goalkeeper who in many respects was a trend-setter among his contemporaries, discarding the traditional bunnet worn by so many in favour of a baseball cap and favouring a selection of different-coloured jerseys instead of the accepted yellow. 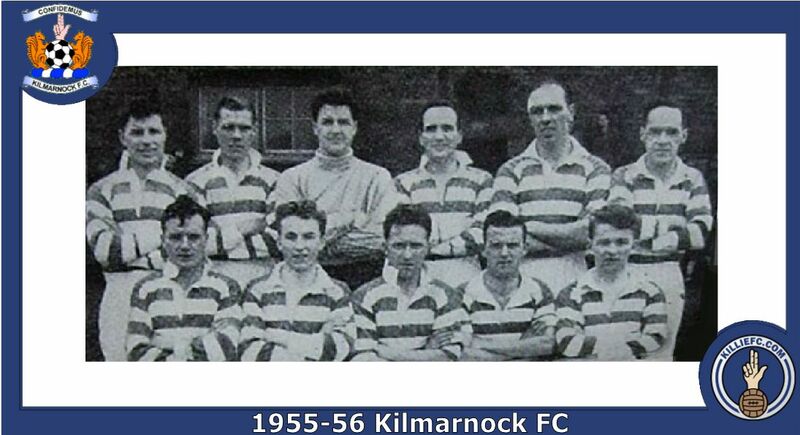 He gave many years of faithful service to both Hearts and Kilmarnock, among other clubs, and was an immensely popular figure. James Robertson Brown was born in Methil, Fife, and went to the local Aberhill School. He played in the Wemyss Schoolboy XI that reached the final of the Secondary School Cup, then for Bayview Youth Club, founded by future Heart of Midlothian manager Dave McLean. One day past his 17th birthday, he signed for Hearts - at the time he was working in the Fife coalfields as an apprentice electrician. Throughout much of his career, Brown continued to work down the mines. Indeed, as a reserved occupation during the war, his trade offered him the opportunity of an early first team debut for Hearts - on October 10, 1942, in a 2-2 draw at Boghead, Dumbarton. 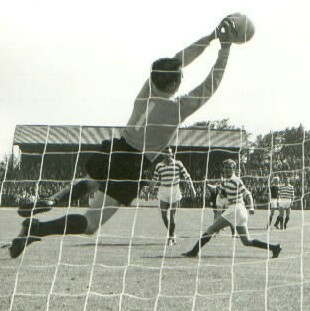 The Fifer quickly established himself as first choice goalkeeper at Tynecastle, and went on to play in more than 350 competitive games for the club. Standing 5ft 9in tall and weighing over 12st 8lb, he was small for a goalkeeper but what he lacked in height he made up in agility and daring. 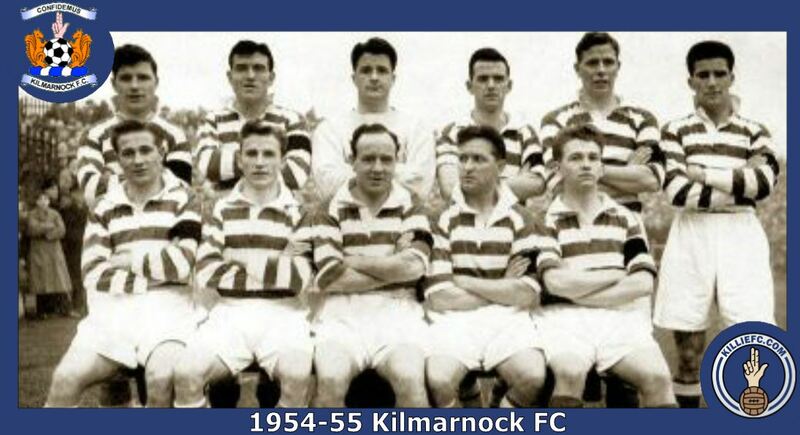 There were no major honours won during his time in Gorgie, being denied at the penultimate stage of the 1945-46 Southern League Cup (that tournament's final season) when goals from Willie Thornton and Torry Gillick secured a narrow 2-1 win for Rangers at Hampden in front of 75,000 spectators. One year later, the last four of the inaugural Scottish League Cup saw a catastrophic 2-6 defeat at the hands of Aberdeen. 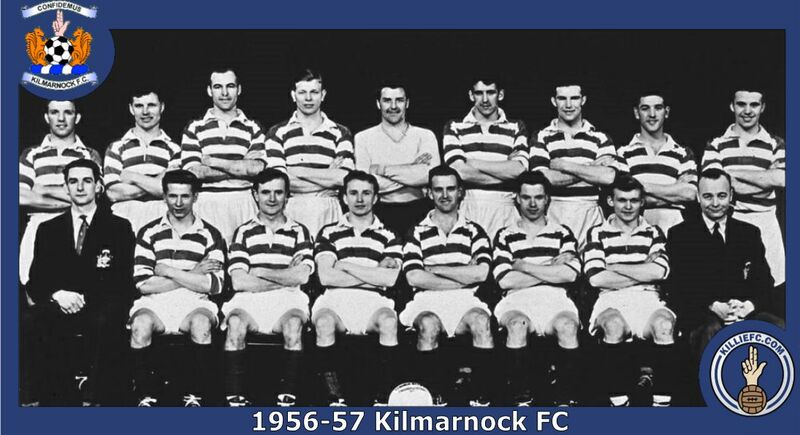 However, a degree of international recognition arrived in the summer of 1949 when he was a member of the touring SFA Representative XI that played nine games in North America. Brown played in all nine, including 6-0 and 4-0 wins over Canada and the US. In all, eight games were won. 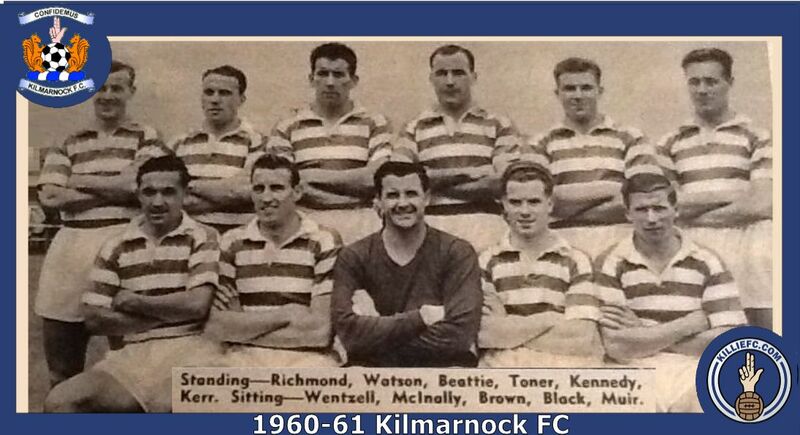 However, the tour is best remembered for the one game that was lost - a catastrophic 0-2 at the hands of Belfast Celtic . The keeper returned to domestic football to wear American-style baseball caps and coloured cotton jerseys, replacing the heavy woollen ones. 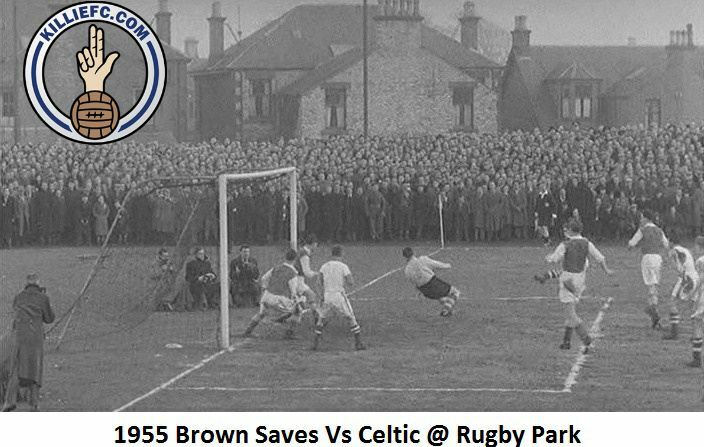 Brown went on to play in all three of the 1952 Scottish FA Cup semi-finals against Motherwell, titanic fixtures that attracted a remarkable combined audience of 238,000 spectators before Motherwell progressed 3-1 after two 1-1 draws. In July 1952, Brown had a shoulder operation that effectively ended his Hearts career, as it became a recurring injury. He refused to let the problem defeat him however. 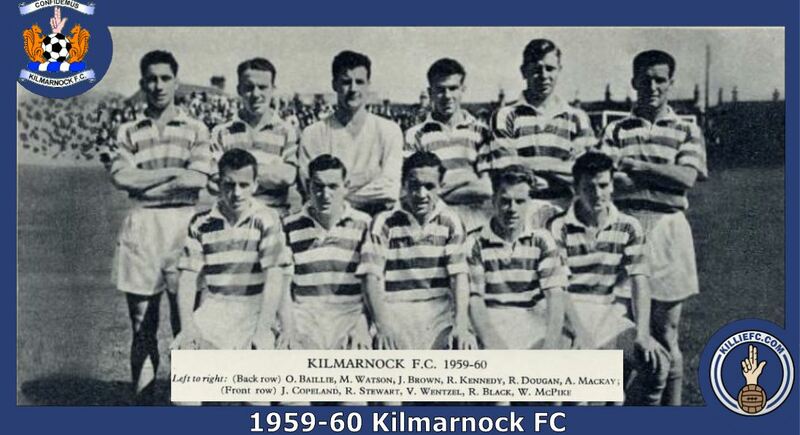 He signed for Division B side Kilmarnock in August 1953 and made his debut in the opening game of the season. It was not the most auspicious of debuts, Motherwell won 3-0. 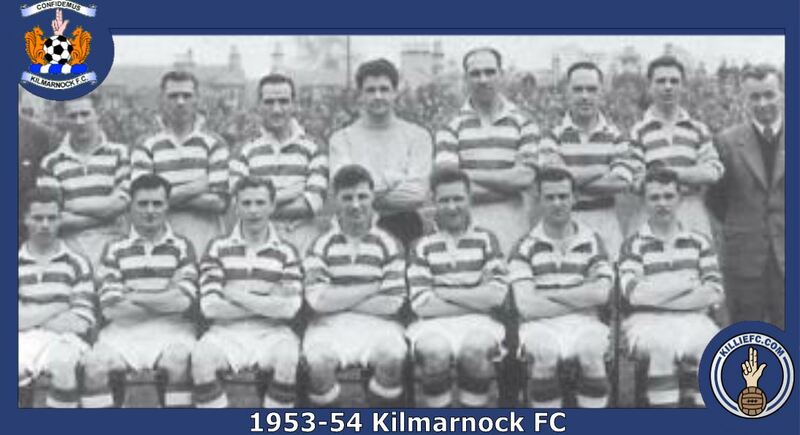 Kilmarnock won promotion at the end of the season, and Jimmy Brown went on to enjoy a prolonged and successful career with the club that surpassed his earlier time in Edinburgh. 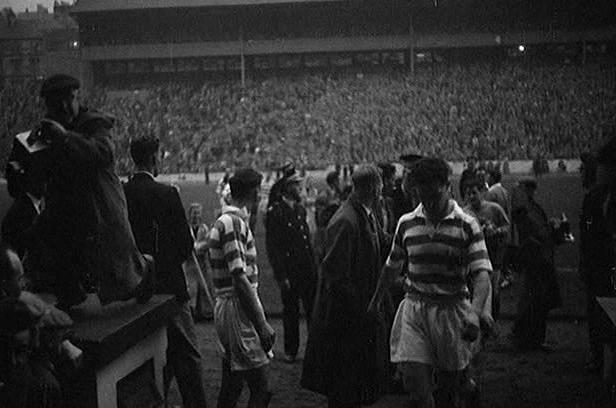 He played a total of 315 games, and reached the Scottish cup finals of 1957 and 1960 only to suffer defeat in both, to Falkirk (after a replay) and Rangers respectively, the latter before an attendance of 108,017. 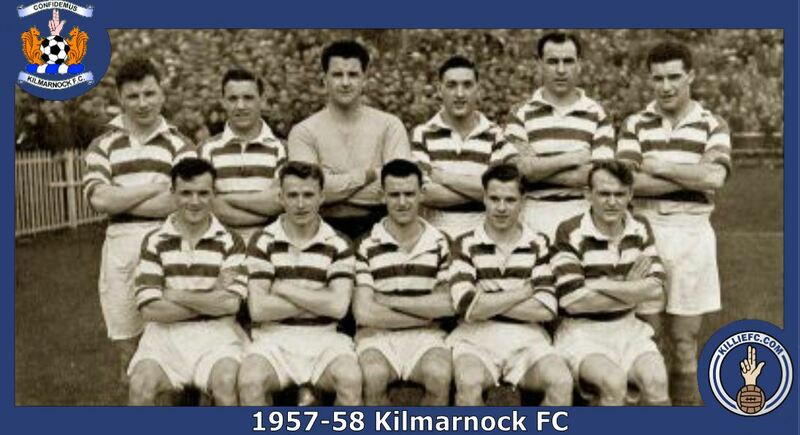 During his time at the club he became one of only three goalkeepers to save a Johnny Hubbard penalty - on December 22, 1956 in a game won 3-2 by Kilmarnock. He loved to wind up the Old Firm fans in particular, frequently wearing a green jersey against Rangers, a blue one against Celtic. 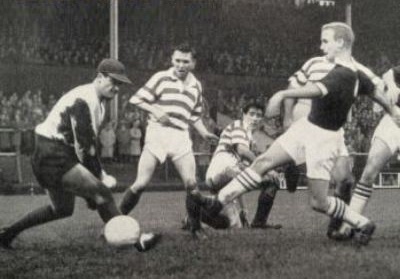 The New York International Tournament of 1960 offered Brown the opportunity to return to the US, where Kilmarnock eliminated both the English champions, Burnley, and Bayern Munich before losing 0-2 to Bangu of Brazil in the final. 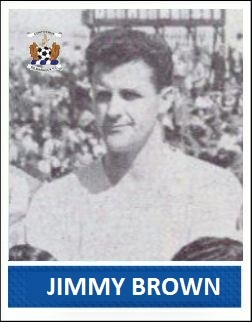 Brown moved on to St Mirren in November 1960 and played 44 league games at Love Street before moving on to brief spells at East Fife, Stranraer and Falkirk as well as the quaintly-named Polish White Eagles of Canada. After retiring from football, he was a publican first in Kilmarnock, where he ran Jimmy Brown's Cross Bar, then in Stewarton at The Bonnet. He actually discouraged football talk in his pubs, banning all football colours. He also coached Stewarton United before going home to East Neuk Fife, where he became a regular at Crail Golf Club. A fine golfer, he captained the club's seniors. Brown died at home in Cellardyke, Fife, after a long battle with cancer and is survived by his wife, Nessie, and sons Jim and Wallace.